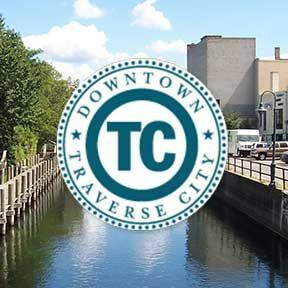 Downtown Traverse City, which includes the Downtown Development Authority (DDA), the Downtown Traverse City Association (DTCA) and Traverse City Parking Services (TCPS), is unique in terms of organization and operational funding. The DDA was created in 1979 and levies two mills within the DDA district. The DTCA, a voluntary organization of merchants and other businesses, was organized in the 1960's and serves as the marketing arm for downtown. In 1990, the two organizations signed a management agreement merging their offices and staff. Aside from improvements in financing and communications, the merger has had the added benefit of creating clear roles for the two organizations. Listed below are the major areas of responsibility. Since 1991, the DDA has managed the city's parking system, including Northwestern Michigan College, the Larry C. Hardy and Old Town Parking Garages, street meters, and various parking lots throughout Downtown Traverse City. Traverse City is America's most inclusive, family-friendly fresh water destination - featuring world class dining and shopping, a growing economy, entrepreneurial opportunity, and all season recreation. The DDA, DTCA, & TCPS work very hard to make our Downtown a premier destination nestled in the heart of the Northern Michigan. Check out some of our completed projects and ongoing contributions in the link below. The DDA is involved in retail and office recruitment efforts, public improvements such as streetscapes, partnerships with Traverse City Light & Power to bury utilities, and planning and development issues. The DDA also operates the Sara Hardy Downtown Farmers Market. Funded through a 2 mil levy and management contracts, the DDA serves as the conduit for funds through contracts and employs all downtown staff. Public improvements are funded through two Tax Increment Financing plans, TIF 97 and Old Town TIF. You may find a map of the DDA District here. The organization is governed by a twelve member board appointed by the City Commission. For a list of current DDA board members click here. Focusing its attention on marketing and promotion, the DTCA oversees all communication pieces including a monthly newsletter, monthly broadsheets, various promotional brochures, and a downtown web site. 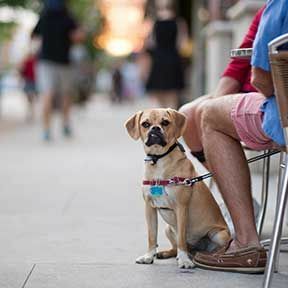 In addition, the organization supervises over 20 annual events downtown, such as Friday Night Live, Downtown Art Walk and Shop Your Community Day. Responsible for retention efforts, the DTCA has an employee discount card program for downtown office and retail workers, and conducts numerous workshops and training sessions for business managers, owners and employees. A Downtown Gift Certificate program has been in place for many years. Promoting local spending, the program generates over $623,000 in sales annually. The DTCA collects dues from members on an annual basis and the membership elects a nine member board which meets monthly. TCPS is a City enterprise responsible for public parking in downtown and other areas of the city. Funding does not come from the city's general fund. Instead, TCPS operates out of a separate enterprise fund that is self-sustaining. 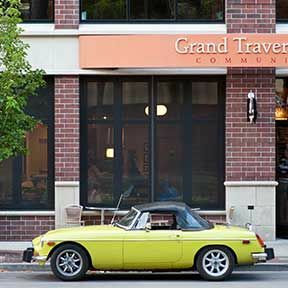 Traverse City Parking, through the DDA, operates numerous city-owned and leased parking facilities mainly in downtown Traverse City.